We’ve done it, guys. February half term has arrived, and even if you don’t have feral children to dance around this week, it means we’ve all made it through the miserable post-Christmas slump – and spring is finally on its way! The landscape is already bursting with signs of spring; our hazel trees are full of catkins and we’ve seen the first daffodils, snowdrops and primroses emerging from the soil. We’ve done it, guys. February half term has arrived, and even if you don’t have feral children to dance around this week, it means we’ve all made it through the miserable post-Christmas slump – and spring is finally on its way! The landscape is already bursting with signs of spring; our hazel trees are full of catkins and we’ve seen the first daffodils, snowdrops and primroses emerging from the soil. So while we wait for the last clutch of winter to release its grip, now is the perfect time to explore our coastlines, fill our lungs with fresh, salty air after hibernation, and forage something delicious from the waves. 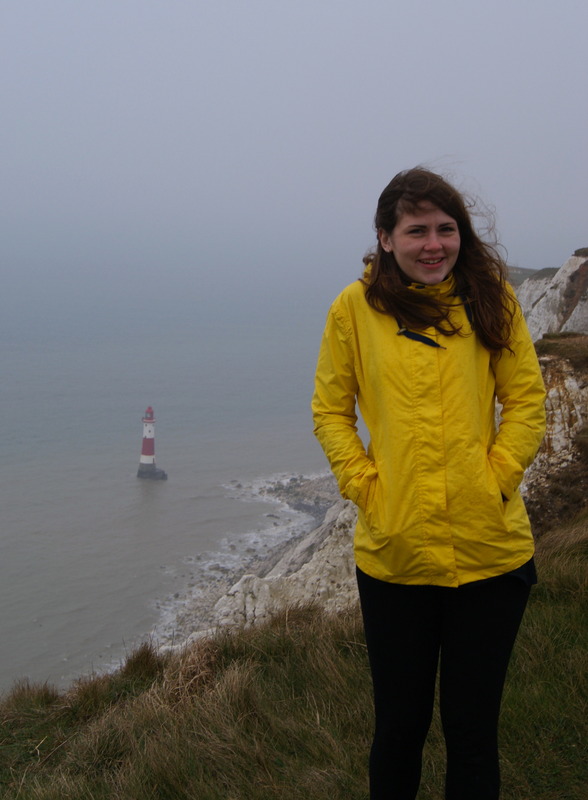 Britain’s coastline is rich in seaweeds and halophytes (plants that thrive in saltwater), and seaweeds are great for beginner foragers, as they are easy to identify and there are no poisonous varieties on British shores – although some taste better than others. There is plenty to nibble on the edge of the ocean, including one of our most common seaweeds bladderwrack (Fucus vesiculosus), the colour of dark olives and rather leathery, with pockets of air (bladders) swollen at the end of each branch. 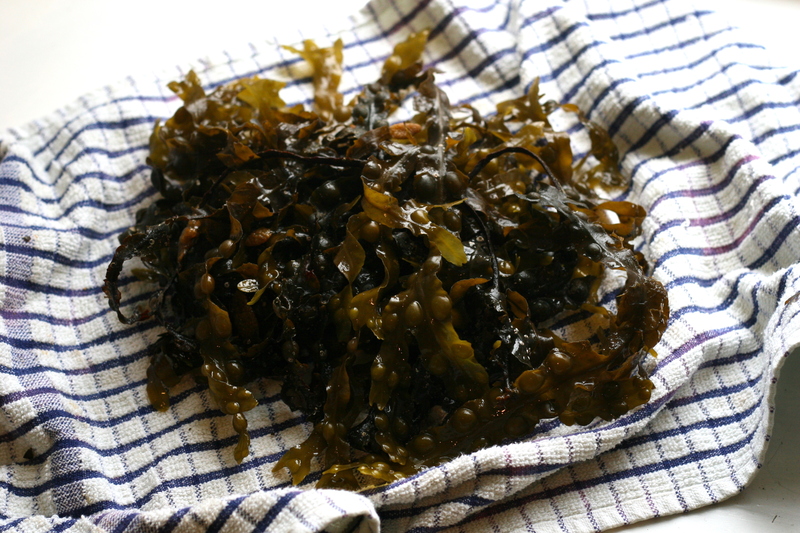 I use it to make seaweed crisps by drying the branches off with kitchen towel and laying them out flat on a baking tray. Sprinkle with rosemary, chilli flakes and chopped garlic, and pop in the oven for a few minutes to bake. 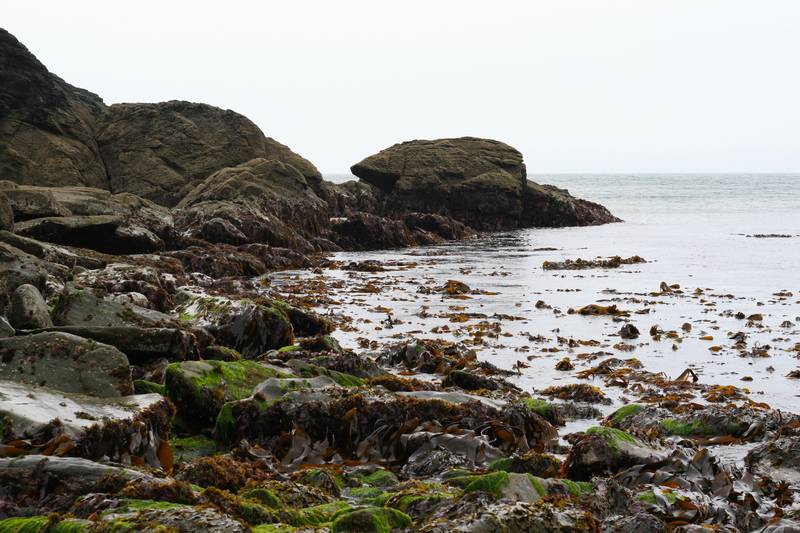 My favourite edible weed is kelp (Laminaria digitata), also known as oarweed. The Latin name digitata means finger, because it looks like a big wobbly hand waving at you underwater. The texture is thick and leathery with one wide blade tailoring off into strappy segments, and it is usually found on low-tide rocky shores throughout Britain, sometimes forming ‘kelp forests’ on large tidal stones. In Japan, kelp is used as a thickening agent in soups and stocks, but when dried it also makes a delicious addition to noodle soup with king prawns and ginger. Out of the water, sea purslane (Halimione portulacoides) grows on the walls of coastal footpaths around saltmarshes, coastal dunes, pools and creek edges throughout the south and east of England. Blossoming with greenish yellow star-shaped flowers and thick, fleshy leaves, the entire thing is brimming with vitamins and minerals. On some Caribbean islands it is even used to treat wounds caused by venomous fish. Take the leaves home to stir fry with cashew nuts, or try Filipino cuisine and mix them with papaya and garlic to make sweet pickles called atchara. If the coast is choppy this February, imagine the Norse goddess Rán, who was believed to be responsible for all storms and lost souls at sea. She spends her immortal days beachcombing lost treasures at the bottom of the ocean, gathering them in the giant fishing net she wears around her waist. Always check the tides before venturing onto the beach, and stay away from dangerous water conditions. You can also help protect our coastlines by doing a 2 minute beach clean to remove any litter and plastics. Preheat the oven to 180°C. In a frying pan, fry up the seaweed, chopped garlic and rosemary in a little olive oil. 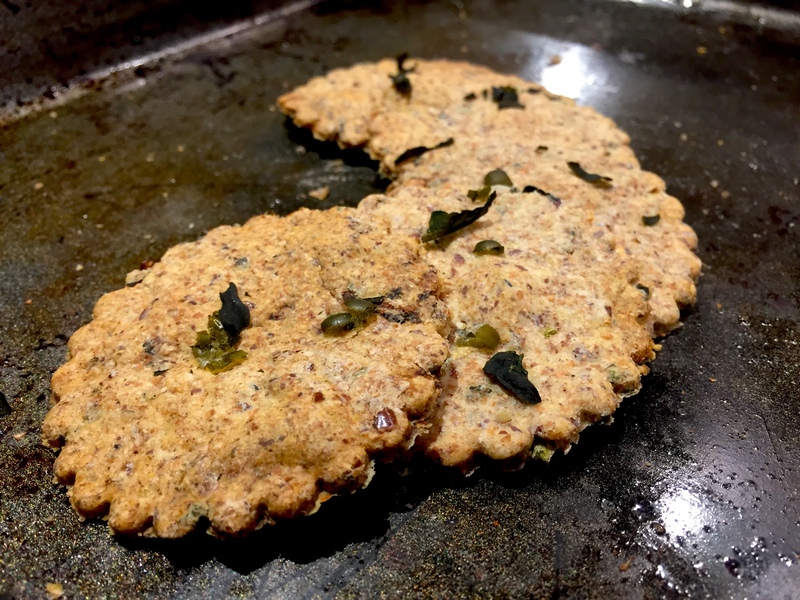 In a separate bowl, mix the flour, semolina, salt and flaxseed together with the fried seaweed mix. In a measuring jug, mix 210ml warm water with a splash of olive oil, and add this to the flour mix to make a firm dough. Knead well. Roll the dough out onto a floured surface to a thickness of 3mm. Use a cookie cutter or glass to cut several circles out. Lightly oil a baking tray and add the cut circles onto the tray. 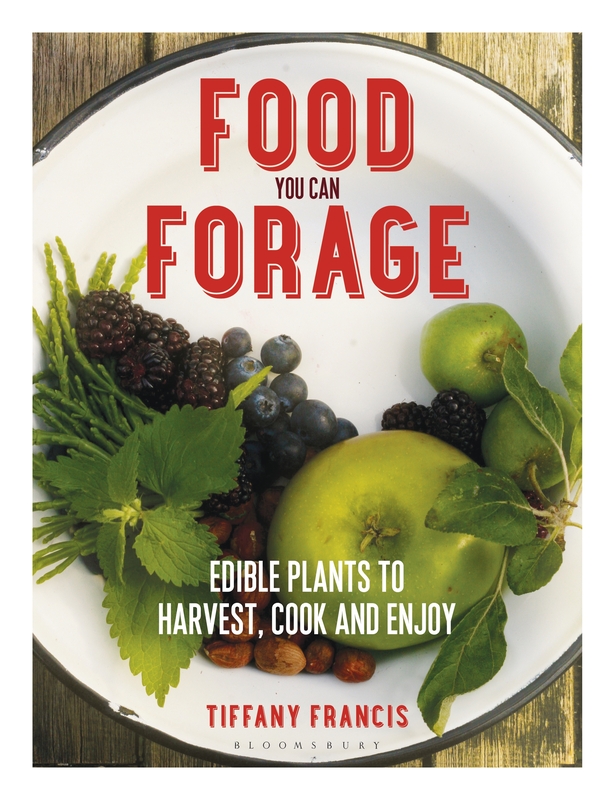 Tiffany Francis is the author of Food You Can Forage, publishing 8th March 2018. Pre-order your copy here. Follow Tiffany on Twitter at @tiffins11.